Our company has achieved widespread recognition for providing Dholpur Beige Sandstone to the clients. This Dholpur Beige Sandstone is available in the market in huge range. Further, the offered Dholpur Beige Sandstone is extensively used in various industrial and personal applications including landscaping. - Ideal to decorate floor of houses, offices, restaurants, etc. Dholpur BEIGE, this sandstone is being quarried and used from centuries and a number of historical buildings and monuments due to its regular bedding, uniform grain size, suitable nature and durability. This buff white colored sandstone has minor purple colored veins which are prominent only when wet and looks really attractive. Sandstone beige Available in all sizes & thickness, various colours Finishing as per customer requirement. 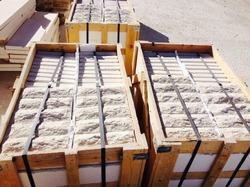 Used for Commercial & Residential, Interior & Exterior, flooring, cladding, etc. 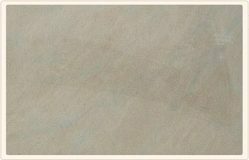 Available in rich beige colors, we are offering high quality range natural stones, namely Dholpur beige natural that is extensively used for wall-cladding, flooring and other allied construction purposes. The range is highly popular due to its superior features like scratch-free, easy maintenance and fine finishes. Our range of Dholpur Beige Sandstone is available in different specifications of sizes and shapes. Using modern processing and finishing techniques, we can supply them in different kinds of finish and texture as per our client’s requirement. We are known as a reputed name for manufacturing, exporting supply of an exclusive assortment of Dholpur Beige Sandstone that are available in different sizes, thickness, finish and quantity. The available assortment is offered in the forms of tiles as well as slabs and is highly appreciated by clients in the national as well as international markets. Price varies Rs 737/- to Rs 1541/- based on the quality of the products. We offer our range of Dholpur Beige sandstone, which are available in different specifications of sizes and shapes. We offer our range of Dholpur Beige sandstone, which are available in different specifications of sizes and shapes. Using modern processing and finishing techniques, we can provide them in different kinds of finish and texture as per the clients requirements.